240 Commonwealth is located on the south side of Commonwealth, between Exeter and Fairfield, with 238 Commonwealth to the east and 30 Fairfield to the west. 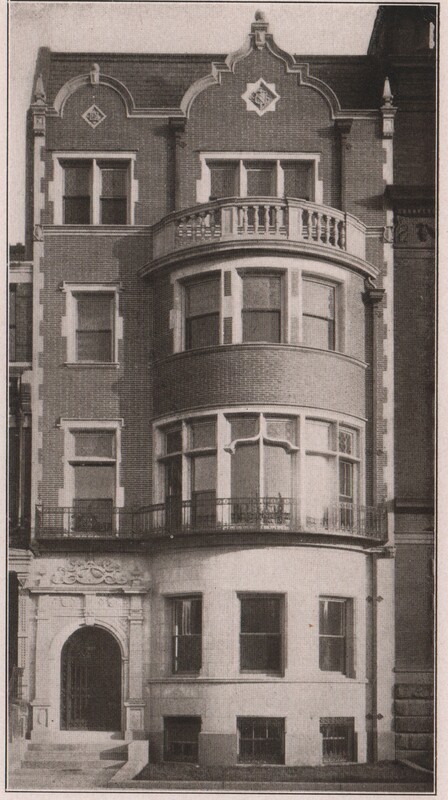 240 Commonwealth was designed by Chapman and Frazer, architects, and built in 1903-1904, replacing an earlier townhouse on the same site. 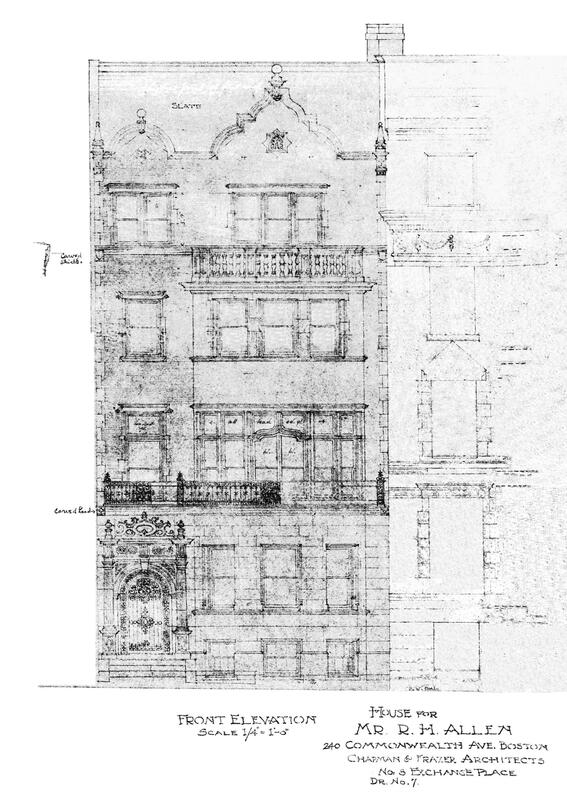 Architectural plans — including elevations, piling plans, floor plans, and framing plans — are included in the City of Boston Blueprints Collection in the Boston Public Library’s Arts Department (reference BIN A-81). The new house was built as the home of Rollin Heber Allen and his wife, Sarah Bartlett (Spencer) Allen. They previously had lived at 179 Newbury. Sarah Allen purchased the original house at 240 Commonwealth on June 4, 1903, and it was razed soon thereafter. Rollin Allen is shown as the owner on the original building permit application for the new house, dated October 13, 1903. Click here for an index to the deeds for 240 Commonwealth. Rollin Allen was a real estate investor and broker. He was the owner of the Castle Square Theatre on Tremont and the managing director of the Castle Square Opera Company. The Allens’ two children — Herbert Spencer Allen, a lawyer, and Ruth Allen — lived with them. Herbert Allen married in May of 1920 to Katherine (Kathryn) E. Sheehan; after their marriage, they lived at 240 Commonwealth with his parents and sister. Rollin Allen died in October of 1925. In the mid- to late 1920s, Herbert and Katherine Allen operated Mansfield Laboratories, manufacturers of medicinal crackers (including Agar Agar Wafers, a laxative). Herbert Allen also operated the Hotel Arlington at 423 Tremont (at Arlington). In 1929, Herbert and Katherine Allen separated and she sued him for separate maintenance. They were living together again by mid-1930 and had moved to an apartment at 405 Marlborough. By 1931, however, it appears they were separated again, and he was again living at 240 Commonwealth with his mother and sister, Ruth. They moved soon thereafter, and the house was shown as vacant in the 1932 City Directory. In mid-1932, 240 Commonwealth became the Boston School of Interior Decoration and the home of William B. Summers, the school’s director. He previously had lived at 140 Newbury. The school offered professional interior decoration courses, homemaking and cultural courses, and European travel courses. The School continued to operate at 240 Commonwealth until about 1937. On April 30, 1937, 240 Commonwealth was acquired from Sarah Allen by the estate of Rollin Allen’s father, Stephen G. Allen. On December 21, 1937, 240 Commonwealth was acquired from Stephen Allen’s estate by Jeannette (Jennie) Elinor (Cohen) Lerner, the widow of Alexander Lerner. She lived at 452 Park Drive. In February of 1938, she filed for (and subsequently received) permission to convert the property from a single-family dwelling into nine apartments. In August of 1939, she applied for (and subsequently received) permission to increase the number of units from nine to ten. 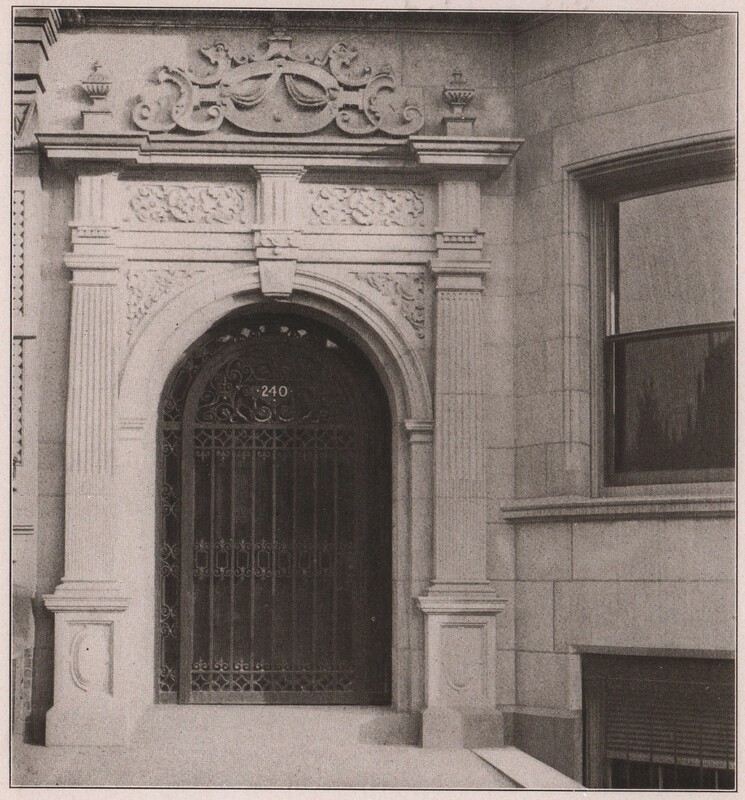 240 Commonwealth was shown as vacant in the 1938 and 1939 City Directories, and was not listed in the 1938 and 1939 Lists of Residents. By 1940, both indicate that it was occupied as an apartment building. 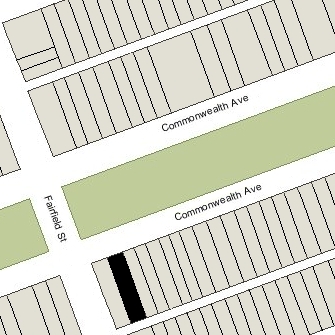 On February 20, 1942, 240 Commonwealth was acquired from Jeannette Lerner by real estate dealer Frederick E. Ordway, and on May 14, 1946, he conveyed the property to real estate investor Miss Bertha Evelyn Cohen of Cambridge. 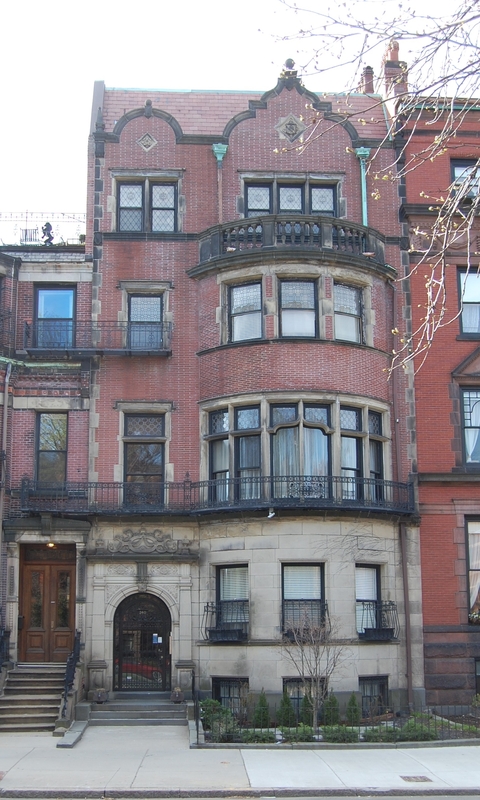 Bertha Cohen also owned 238 Commonwealth, purchased on her behalf by Frederick Ordway in July of 1942. On October 20, 1970, 238 Commonwealth and 240 Commonwealth were acquired from Bertha Cohen’s estate by real estate developer Max Wasserman, who transferred them on the same day to his affiliated organization, Jacet Construction Company. On December 31, 1970, 238 and 240 Commonwealth were purchased from Jacet Construction by Anthony P. Baker and William C. Kobin, trustees of the 238-240 Trust. On June 16, 1976, the South Boston Savings Bank foreclosed on its mortgage to Anthony Baker and William Kobin, and took possession of 238 and 240 Commonwealth. On December 22, 1976, 238 and 240 Commonwealth were purchased from the South Boston Savings Bank by Joseph Jokton DeMarco. He and his wife, Ute D. (Brammer) DeMarco lived in Newton. 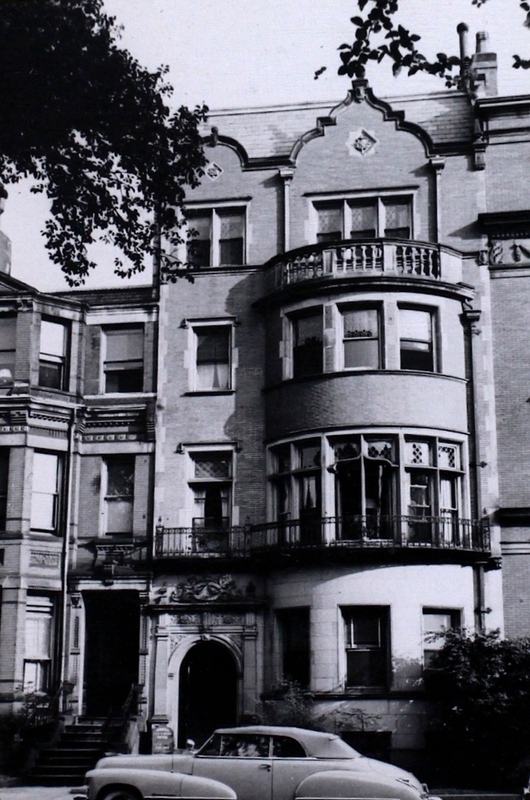 They owned and operated the Boston School of Modern Languages, located at 1 Arlington. Joseph Jokton DeMarco died in November of 1994, and 238 and 240 Commonwealth were inherited by Ute DeMarco. She continued as president of the Boston School of Modern Languages, by then located in Roslindale. In October of 1998, she married again, to Count Jochen von Haller. On October 31, 2008, Ute De Marco Von Haller transferred 238 and 240 Commonwealth to herself as trustee of the Ute De Marco Von Haller Revocable Trust. She died in August of 2011. As of 2017, 240 Commonwealth continued to be an apartment house, the Buckingham Business Apartments, offering studio, one bedroom and two bedroom furnished units for rent on a weekly, monthly, and longer-term basis. The original house at 240 Commonwealth designed by architect George A. Avery and built in 1879-1880 by William Hunt, carpenter, and Vinal & Dodge, masons, one of two contiguous houses (238-240 Commonwealth). As originally built, 238 and 240 Commonwealth were designed as a symmetrical pair, with 238 Commonwealth on a 20 foot lot and 240 Commonwealth on a 29 foot lot. 240 Commonwealth was built as the home of Dr. William Henry Baker, a physician, and his wife, Charlotte Ann (Ball) Baker. He is shown as the owner on the original building permit application, dated May 7, 1879. Charlotte Baker purchased the land for 238 Commonwealth from the National Bank of Commerce of Boston on August 19, 1879. It was part of a parcel that National Bank of Commerce had acquired on May 18, 1876, from Nathan Matthews, which, in turn, was part of a larger tract originally purchased by Nathan Matthews on January 2, 1871, from David Sears, Jr., Frederick R. Sears, and Knyvet Sears. By the 1880-1881 winter season, William and Charlotte Baker had made 240 Commonwealth their home. They previously lived at 24 Worcester Square, the home of her mother, Emeline Ball, the widow of Jonas Ball. The Bakers continued to live at 240 Commonwealth during the 1882-1883 winter season, but moved thereafter. On October 25, 1883, 240 Commonwealth was purchased from Charlotte Baker by Lucy Josephine (Brown) Parker, the wife of Henry G. Parker. They previously had lived at 235 Beacon. Henry Parker died in May of 1892. Lucy Parker continued to live at 240 Commonwealth until her death in October of 1902. On June 4, 1903, 240 Commonwealth was purchased by Sarah Bartlett (Spencer) Allen, the wife of Rollin Heber Allen, The house was razed soon thereafter and replaced by the Allens’ new home.